A couple of weeks ago we heard that Apple may be bringing back the Black color option for the iPhone 7 – aka Space Black like the Apple Watch has. 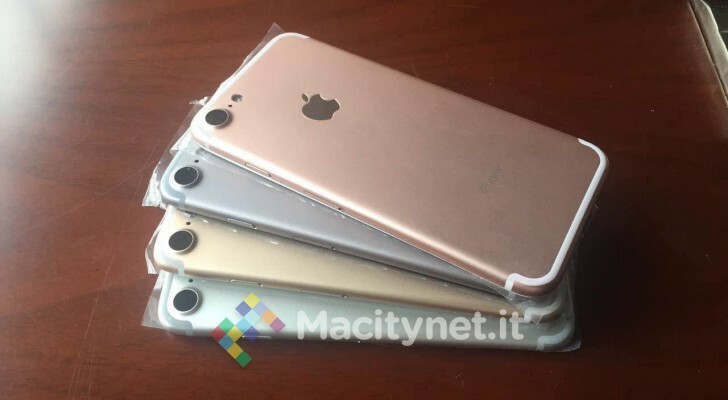 A leaked photo of several iPhone 7 units pours cold water on that, there is just four of them – Silver and Space Grey, Gold and Rose Gold. Those are the standard colors available for the iPhone 6s and co.
Apple nixed the darker hue because of chipping and hasn’t brought it back since. It could still be working on the Space Black version, which will launch later (a la White iPhone 4) or it may not be coming at all. There isn’t even a rumor that Apple is considering a non-monochrome, non-gold version, if you were hoping for an iPod touch-like rainbow of colors.